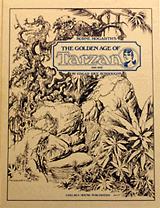 New York: Watson-Guptill Publications, 1958. 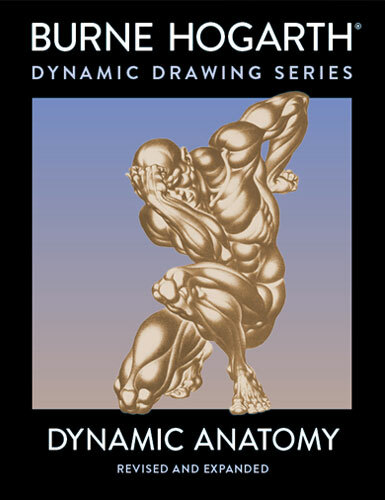 Praised by critics and teachers alike for more than 40 years, Burne Hogarth’s Dynamic Anatomy is recognized worldwide as the classic, indispensable text on artistic anatomy. Now revised, expanded, and completely redesigned with 75 never-before-published drawings from the Hogarth archives and 24 pages of new material, this award-winning reference explores the expressive structure of the human form from the artist’s point of view. New York: Watson-Guptill Publications, 1965. In 300 extraordinary drawings, Hogarth shows how to draw the head from every angle, age the face from infancy to old age, and delineate every feature and wrinkle. 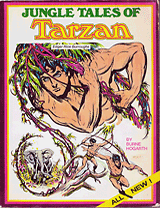 New York: Watson-Guptill Publications, 1970. 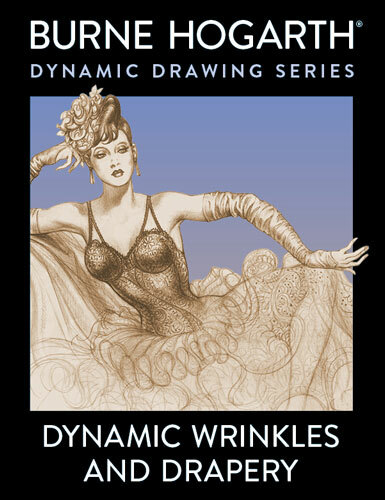 Figure drawing is the most essential–and the most difficult–of all skills for the artist to learn. 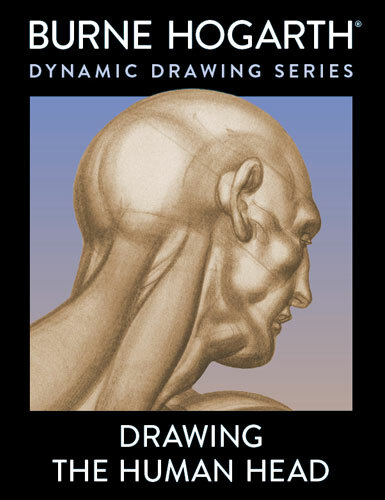 In this book, Burne Hogarth, one of the founders of the School of Visual Arts in New York, introduces his own revolutionary system of figure drawing, which makes it possible to visualize and accurately render the forms of the human body from every conceivable point of view. 300+ drawings & diagrams. New York: Watson-Guptill Publications, 1977. 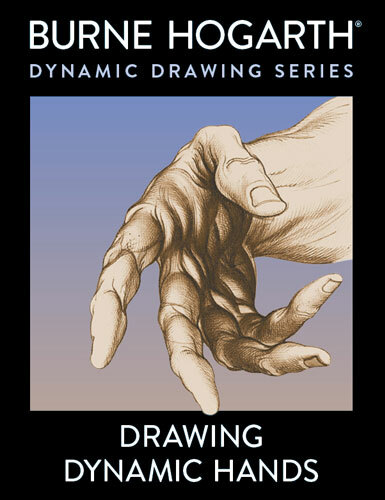 The most comprehensive book ever published on drawing hands uses a revolutionary system for visualizing the hand in an almost infinite number of positions. New York: Watson-Guptill Publications, 1981. 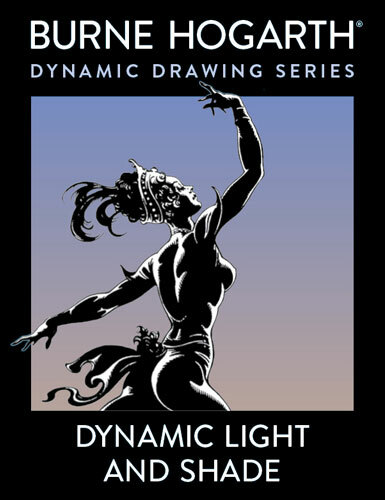 Mastery of light and shade – rendered with accuracy and expressive power – is the key to three-dimensional form in drawing and painting. 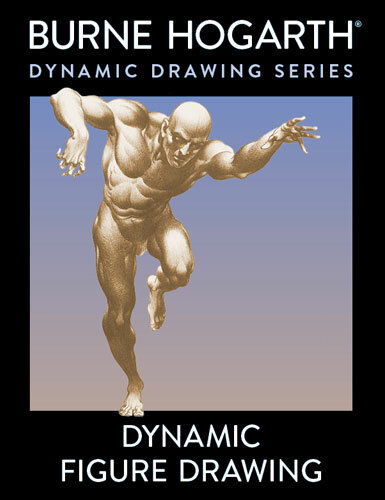 Here is the first book on this essential subject, the product of years of study by one of the world’s great teachers of drawing and an artist of international renown, Burne Hogarth. New York: Watson-Guptill Publications, 1995. Understanding how the body moves is the key to rendering clothing, as world-renowned artist Hogarth demonstrates in this unique book. 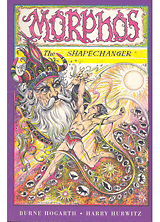 New York: Watson-Guptill Publications, 1972. 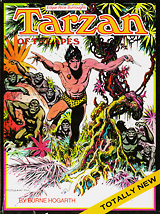 This 1972 graphic novel traces the origins of Burroughs’ Tarzan story through Burne Hogarth’s defining artwork. 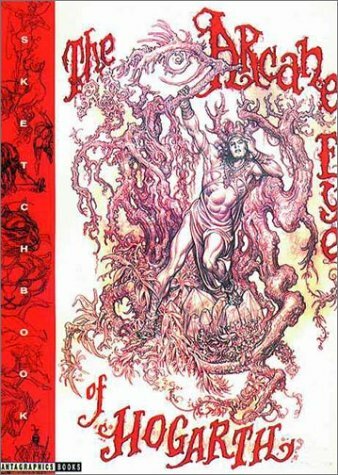 Drawn many years after the original comic strip, this book represents a further evolution of Burne Hogarth’s work. New York: Watson-Guptill Publications, 1976. Portland: Dark Horse Comics, 1996. ©2010 Burne Hogarth Dynamic Media LLC. All Rights Reserved.